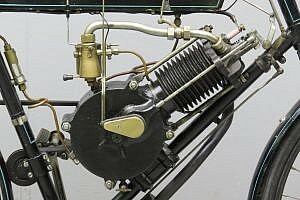 The Madison engine was manufactured at 9, Woolrych Street, Derby by the Madison Motor Company, whose motto was “We lead – others follow”. 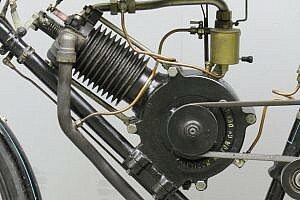 The engine could be purchased complete at £11 18s, or in kit form at £3 15 s for the 2HP version or £4 for the 3HP model. The engine came complete with spray carburettor, coil, tank, levers, plug, belt, exhaust pipe and a six month guarantee. The engine has an automatic inlet valve and a mechanical exhaust valve. The latter is of overhead construction which is quite modern for 1903. 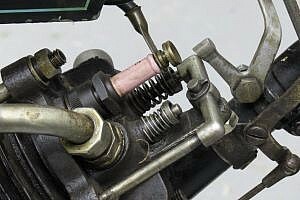 The petrol tank has three compartments: petrol tank, ignition components and oil tank. The oil is fed via a drip feed system to the crankcase. 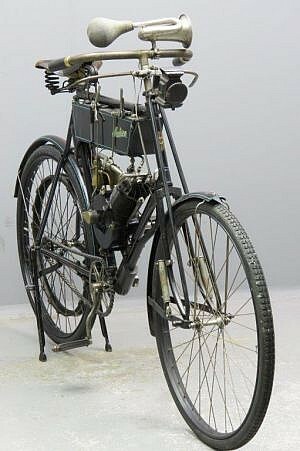 The Madison engine is fitted to a circa 1900 “Magnet” cycle, made by W. H. Light and Sons from Gillingham, Dorset. The bicycle is fitted with a sprung front wheel and Brooks saddle. Accessories include a Riemann bulb horn and oil lamp. 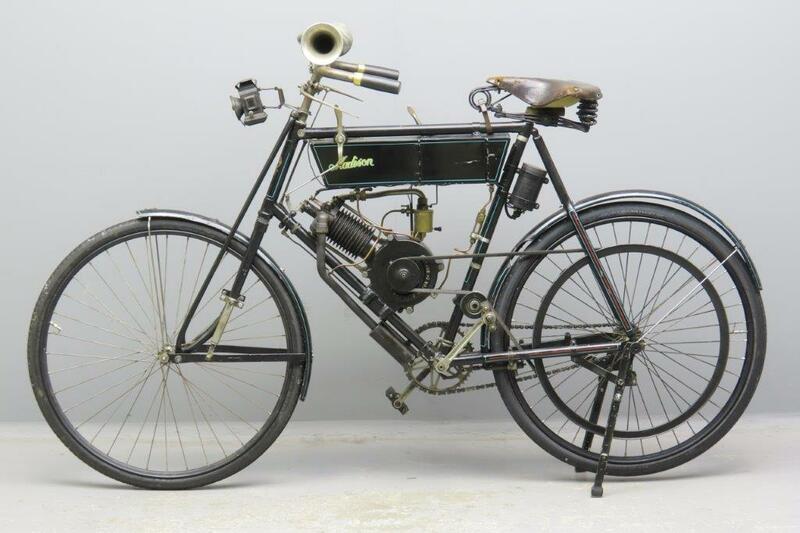 This very early motorised bicycle comes complete with Pioneer certificate and has been displayed at the Beaulieu National Motor Museum in the seventies. 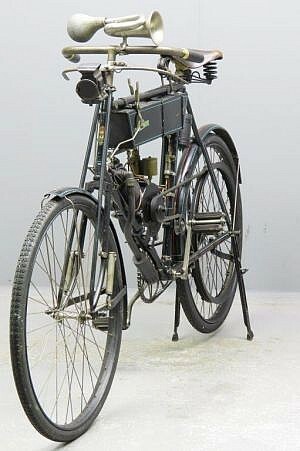 A number of years ago it got a technical check-over and it has been used regularly for vintage club outings since. 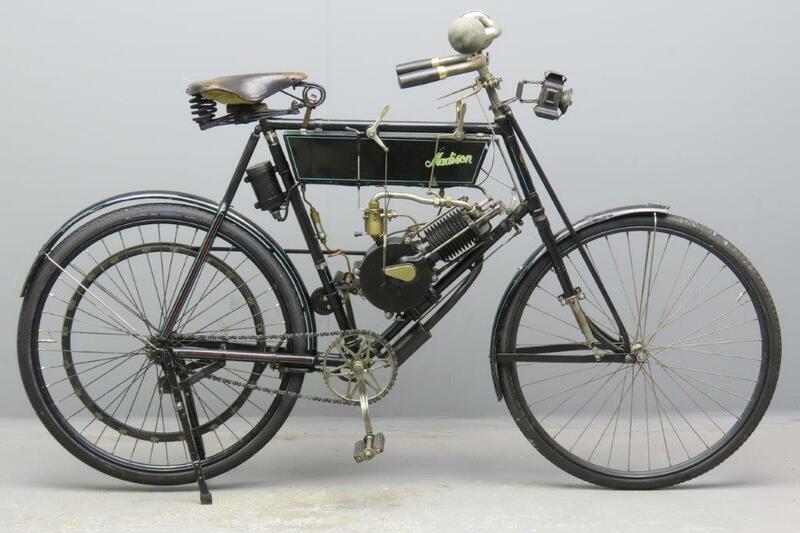 The previous owner reports that the Madison starts easily and has a comfortable cruising speed of some 20 mph. 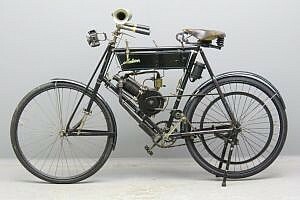 The Madison Motor Company advertised this engine for a number of months in 1903 only, so it’s bound to be a very rare survivor.